If your name is on the deed but not on the mortgage, your position is actually advantageous. The names on the deed of a house, not the mortgage, indicate ownership. It’s the deed that passes real estate ownership from one entity to another. A person's name can be on the deed but not the mortgage. In such circumstances, the person is an owner of the property but is not financially liable for mortgage payments. 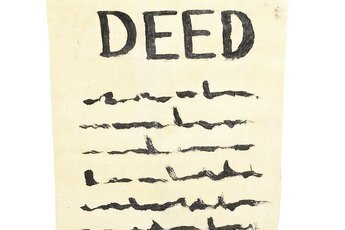 The person whose name is on the deed has the title to the property. It doesn’t matter whether the property was transferred by purchase, inheritance or gift. It’s the deed that transfers title. On the deed, you’ll find the property’s legal description, including property or boundary lines. The deed identifies the grantor, or party transferring his interest in the property, and the grantee, who accepts it. 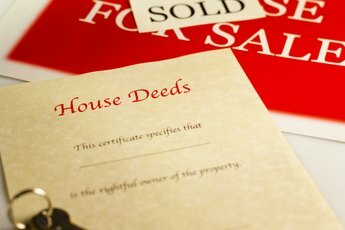 There are different types of deeds, but the one used most often in home sales is the warranty deed. This type of deed states that the grantor rightfully owns the property, that there are no outstanding claims on the parcel from creditors and no one else has a better title claim. The latter is one reason title insurance is necessary when buying a house. 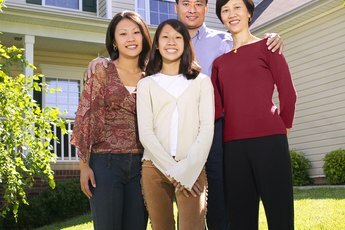 Quitclaims deeds are sometimes used when family members pass property to one another, but the downside of such deeds is that there is no title protection. Keep in mind that a sales contract is not synonymous with a deed. The sales contract is the agreement to convey the property, while the deed is the actual conveyance. A mortgage is an agreement between a lender and borrower to pay back the amount of money borrowed according to the terms of the loan. If a married couple wants to qualify for a mortgage but one spouse has poor credit, it may make more sense for just the spouse with the better credit rating to apply for the loan. Adding the spouse with bad credit could mean a higher interest rate. In such cases, there is one person on the mortgage but two on the deed. Both spouses are owners, but only one person is responsible for paying the mortgage. Some people may not want to add their names to the deed of the house because they are evading creditors. The person whose name is on the deed is the legal owner of the property. If you are unmarried but purchased the house with a partner who took out the mortgage, you can’t claim the mortgage deduction on your income taxes, even if you contribute to the payment each month. If your name is not on the deed of the house and you break up with a partner, they could legally sell the house and keep the proceeds unless you have another legal agreement in place that spells out the specifics of the arrangement. If your partner dies and there is no provision in the will for you to inherit the property, you have a problem. If your partner dies intestate, or without a will, property in her name is subject to the state’s laws of intestate succession, based on marital and blood ties. Unfortunately, “girlfriend” or “boyfriend” is not a legal status. You can add someone to a deed with a mortgage, but it’s best to obtain advice from a real estate lawyer before doing so. You must look at the terms of the mortgage, as lenders often include clauses in the mortgage documents requiring payment in full if major changes are made, such as those to the house title. However, if you are adding a spouse or close family member, the lender may not require payment in full. The person added to the deed is still not liable for the mortgage loan. 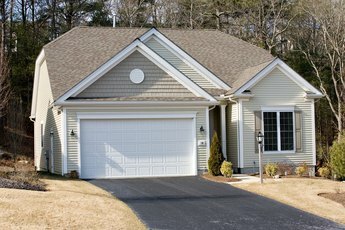 Can You Do a Quitclaim on a FHA Mortgage?